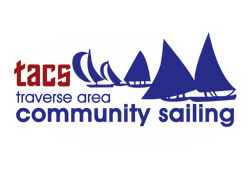 this is a great follow-up video on Sunfish rigging setups that was created by Steve King of North Shore Yacht Club in Highland Park, Illinois. his 1st video was a fantastic introduction to standard Sunfish rigging. I really like how they add some white colored tape on the upper spar to show the 2 different halyard positions that they like to use. measuring from the top of the upper spar, they use 54″ for racing and 74″ for recreational sailing (but note that the 74″ setting should probably not be used in high winds, as this setting raises the sail up quite a bit, and the overturning forces from the wind could damage the mast step at the Sunfish deck). 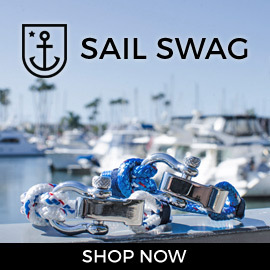 the tape takes the guesswork out of it: so you don’t have to count sail rings, or grab a tape measure to try to make sure the halyard knot is set in the right position, because after the sail is raised up, you can’t adjust that position. here is how I’ve marked my lower boom with 1-inch increments so I can quickly see my setting. he also explains how the gooseneck setting can and should be adjusted to correct any weather or lee helm while you are sailing. the other two adjustments for wind speed are the cunningham (at the tack of the sail) and the outhaul (at the aft end of the lower spar). the cunningham line controls the front edge, or luff, of the sail. the outhaul is used to flatten the foot or lower 1/3 of the sail. he explains the settings for each of these in the video. 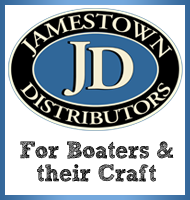 As a self-taught Sunfisher in Lake County, IL, I have been slowly adding the racing upgrades and good suggestions, from sites like this, and really appreciate them. I just started on a newer model after putting 200,000 miles on my ’76er. Since Laser has done it, I was wondering if anybody has ‘foiled’ a Sunfish yet? Thanks for sharing these videos. 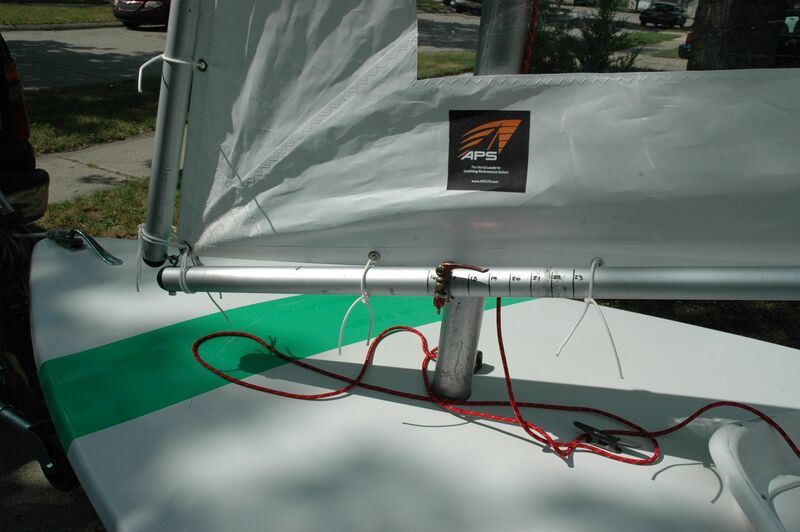 On my sunfish, there is a sail clip just aft of the 15″ mark of the boom which interferes with positioning the goose neck any closer to the fore end of the boom. Also on my sunfish, positioning the halyard at the 54″ mark on the gaff leaves the boom scraping the fore deck at most goose neck settings so I set it a couple of inches further down the gaff. Just wanted to throw that out there in case others run into similar issues. Jim, great feedback! I wonder if it would help to replace the sail clip at 15” with a sail tie using a small piece of line? Then it would be easier to untie it and move the gooseneck setting? 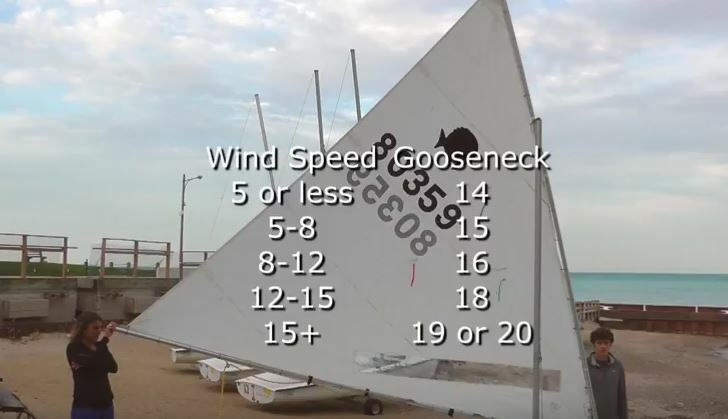 I had an exchange on Youtube with Mr. King and he explained that they just leave the sail unattached around the goose neck to allow for adjustments on the fly while sailing. Oh that’s great feedback, Jim! I never thought adjusting my gooseneck was so significant; turns out I’ve been tacky doodling in 20 knots all wrong the last 15 years! Put that baby back a little, and, wow! I had installed an adjuster, but just didn’t know why. Oh, yeah, I gained so much weight the last few years, I’m waaay out of the ideal 180 pounds, but I can really hike it. Just harder to plane or speed. Thanks to the wind whisperers @my2fish! Glad to hear it is helping (now! ), Jack. Thanks for reading my blog! Plus, I went to Highland Park High School, and I’m still in the area, and recognized someone mentioned in the video, so… someone to look up this Winter. Maybe I can launch my Sunfish at the Highland Park Yacht Club next year!